Today in New York City we are getting ready for a huge snow storm, about 2 feet. To me, having lived in different parts of the world and the USA, 2 feet is not the end of the world, just a typical winter storm. But, since we are told to stay indoors until possibly Wednesday, I have decided to prepare some healthy and nutritious comfort food. Since I love cheese and the combination of a tomato sauce with baked eggplant, why not add the cheese on top of the eggplant and make it my own happy meal! Now, some of you may be asking yourselves why am I calling this a healthy and nutritious meal since it contains cheese, but actually it is. The eggplant contains vitamin B1 and copper. It is also a good source of manganese, vitamin B6, niacin, potasium, folate and vitamin K. Plus, it is a good source of dietary fiber. 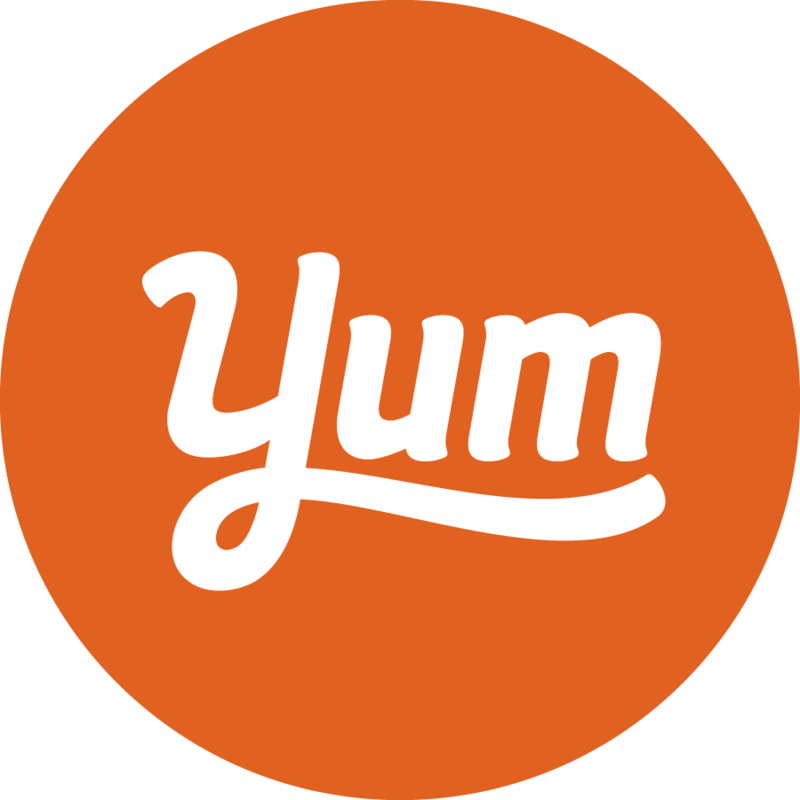 The tomato sauce contains vitamin A, vitamin C, and beneficial phytochemicals such as lycopene. And in the defense of the cheese, it contains calcium and vitamin D.
So, sit back, watch TV, read a book, do get your exercise (even indoors you can get a good workout), snuggle with your loved one, curse the snow and eat your happy meal! But as always, enjoy! Heat 1 tablespoon olive oil in a medium saucepan over medium-high heat. Add onion and cook, stirring occasionally, until beginning to brown, about 6 minutes.Add chopped garlic and cook, about 1 minute. Add tomato paste and cook, stirring , about 2 minutes. Add tomatoes, crushing them with your hands as you add them; season with salt and pepper. Bring to a boil, reduce heat and simmer, partially covered for about 20 minutes. Set sauce aside. Preheat oven to 400 degrees. Using a vegetable peeler, remove skin from rounded side of each eggplant half, leaving a 1 inch strip of skin around the cut edge. Place a large sheet of tin foil on a rimmed baking sheet large enough to cover the eggplants. Combine the oregano, whole garlic cloves, and 1/2 cup olive oil on the sheet of foil. Take each eggplant half and coat with the olive oil mixture. Turn the halves, cut side down on the foil. Cover tightly with the foil and place in the preheated oven for 40 minutes. Remove and allow to rest for about 5 minutes. Mix the breadcrumbs with the 1 tablespoon olive oil, mixing with a fork is best. In a shallow baking dish large enough to hold the eggplants, place about 2-3 tablespoons of the tomato sauce. Transfer the eggplants, cut side up, and garlic cloves onto the sauce. 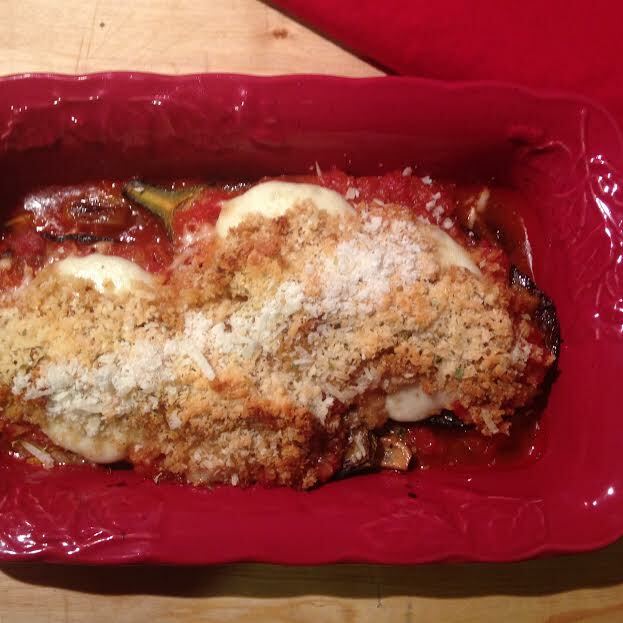 top eggplants with tomato sauce and mozzarella, then sprinkle with the breadcrumbs and Parmesan. Bake until the mozzarella is bubbling and breadcrumbs are golden, about 25 minutes. You may top off with some additional grated Parmesan cheese. Allow to rest for about 5 minutes before cutting into the eggplant. Previous Post Healthy Start to Your Day!